By educating on mental health, the role of the supporter, and intervention techniques, StandBy breaks down stigma by creating a place for community interaction and storytelling. 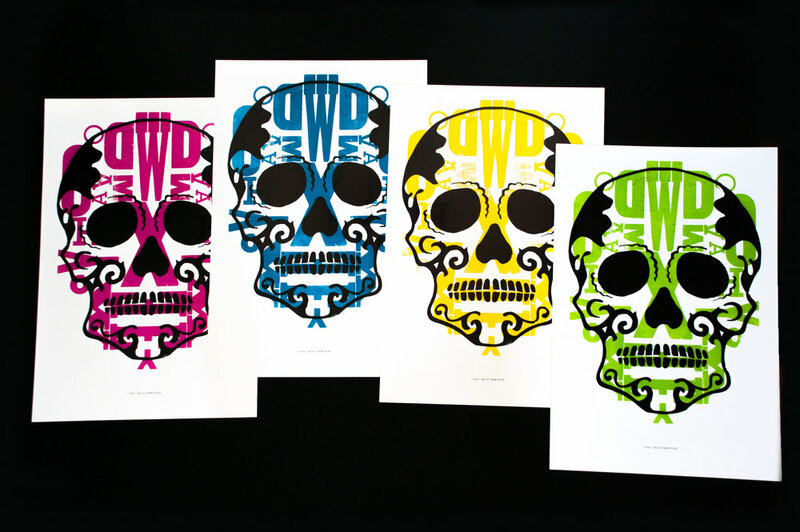 The beautiful and ornate skulls and sugar skulls of the Dia de Muertos celebration have a deep historic significance—even in the context of print making. This celebration of souls and and remembrance of the dead can be seen alongside vibrant decor, ofrendas, and food. The memories of ancestors and departed are celebrated as they continue their spiritual journeys. Skulls, particularly decorated sugar skulls, have become a visual representation of this holiday world-wide. For these pieces, I was inspired by the celebration of death and it's historical documentation. One of the most recognizable "calavera," "La Calavera Catrina," is an etching by famous 20th century illustrator José Guadalupe Posada. Printmaking has always had a role in this holiday's documentation. The intersection between printmaking and Dia de Muertos was fascinating—a celebration of the dead, by means of a dying art form. By working to keep letterpress alive, many artists are still celebrating what many others have believed dead. This revival of letterpress printing has become a celebration of the past through preservation and continued production. 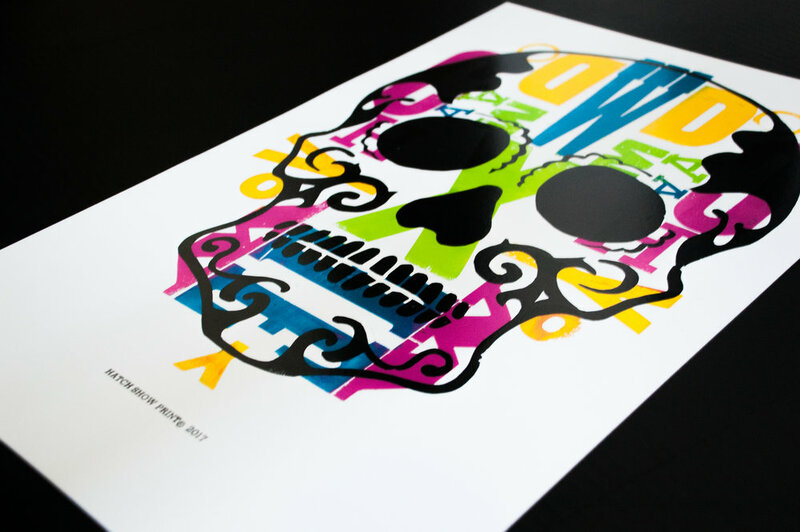 This project aims to honor both the holiday of death and the continued life of letterpress. For this set of prints, I wanted to experiment with different hand-braying techniques and color interactions. These pieces were printed using the archive at Hatch Show Print.